Arnd Ludwig also known as “LUPO”, has an extensive playing and coaching career from Germany. 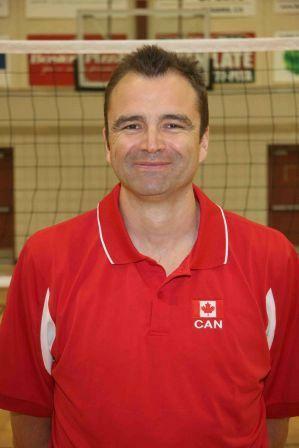 He is a top notch individual who lives for the sport of volleyball and helping people develop. We are excited to have him come out for HITT and help young people form across the country. Since 2009 has coached the Canadian Women’s National team with appearances at the World Championships in Japan 2010 and 2014 in Italy, Pan Am Games in Mexico 2011 and Toronto in 2015, Grand Prix in 2014, 2015 and 2016. Coached Dresdner SC (Germany) women’s team from 2002 – 2009. Built up a team with a lot of young players and medaled the last 5 years in a row. 3rd, 3rd, 1st, 2nd, 3rd place in the German Championship. 6 of the players from Dresden are members of the current German National Team that won the silver medal at the European Championships in 2011. 3 out of 6 players from this championship team in 2011 are now retired. Coached SSV Ulm (Germany) women’s team 1998 – 2002. Brought this team in his first year into the first league with a perfect season. Stayed with the team in the first league for three years.